When a tooth becomes severely infected, it can pose a hazard to your oral health. It can also be a painful experience, if the infection causes swelling or an abscess that presses on the nerve of the tooth. Root canal therapy is a general dentistry treatment that can treat severely infected teeth, removing the infection and the nerve root, often saving a tooth from needing to be extracted. At Definition Dental, we offer expert root canal therapy to preserve the health of our patients’ smiles. Tooth infections often begin due to decay or damage that has compromised the exterior of the tooth. Once bacteria are allowed to enter the interior of the tooth, it can become infected or abscessed. Usually this results in pain or sensitivity for the person with the infected tooth. It can be painful when biting down and may be extremely sensitive to heat or cold. However, some people may have an infected tooth without any symptoms. Many people equate root canals with pain, even though the procedure is actually quite simple and is the best way to stop the pain caused by the infected tooth. New technology makes it quicker and easier to perform this tooth-saving procedure. During a root canal, the affected tissue and diseased nerve is removed. The interior of the tooth is sterilized and sealed, stopping the infection. Since a portion of the tooth is now gone, a dental crown is often used to protect the remaining tooth material. Recovery is quick and most patients experience no more pain once the infection is treated. At Definition Dental, it is always our top priority to save your natural teeth whenever possible. Root canals are often the only way to save a severely infected tooth and allow you to preserve your complete smile. 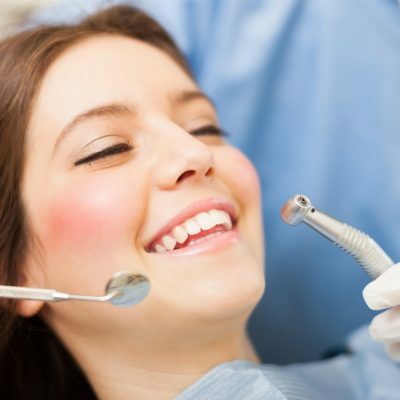 As with all our dental treatments, we strive to make our patients comfortable and relaxed during root canal therapy, offering sedation dentistry options if needed. Schedule your next appointment with us for a free consult to discuss your options.